You want to be a good parent – one who does everything right. You want a quality family life that is built on relationship, fun, and, mutual respect. You want your children to grow up with wonderful memories of their childhood. You want to be a good parent, but sometimes it’s all we can do to keep our head above water. It’s not always easy this parenting thing is it? We want to be a great parent, but finding our way there can be hard. Where is the magic formula we could apply to the process? We parents need something that would guarantee the right results. Unfortunately there is no one size fits all method with handy checklists to cross off (if only). As if the parenting struggles themselves weren’t enough, we set unrealistic expectations for ourselves. To do it all. To never lose our temper. To be the perfect parent. As a bonus you will receive a copy of my free e-book and access to the library. Have fun with your kids. Learn how to keep family life simple. Create a home full of play, laughter and deep connections. Reassure you that you are doing a good job. You know what you want for your family. I can help you get there. 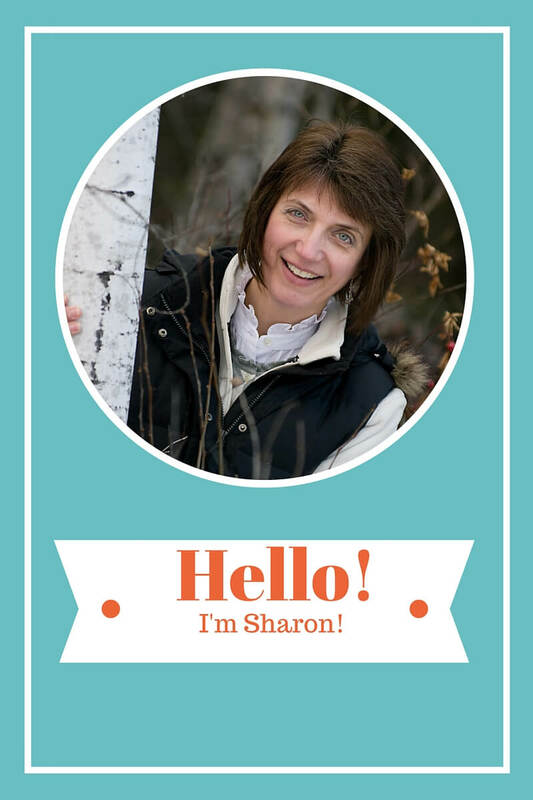 My name is Sharon Harding and I’m the creator and writer of this blog. I am a mother of three grown children, trained educator, part time librarian, free lance writer and published author. I live a simple life with my partner in Canada. I like reading, gardening, painting, hanging out with children, dark chocolate, red wine, and good coffee. My perfect day would include a lazy morning, family time, good food and lots of time for simply puttering around. What prompted me to start this blog? I work in a public library and I see a lot of families come through our doors. It is my joy to see parents and children interacting over our books and toys. The connection they have is wonderful to see. Unfortunately I have also witnessed a little girl fighting back tears, because she couldn’t get her dad’s attention away from his phone. I have seen the emotional distance between members of frazzled families who are too rushed to enjoy some time together choosing books. I’ve worked with teens who talked at length about the lack of emotional connection they have with their parents and how painful that is for them. I realized I could have spent more time enjoying my boys childhood with them and less time worrying about the mess. Regrets for lost time and opportunities are hard to deal with. I decided I wanted to help. I wanted to encourage families to spend time making memories and building connection NOW, because childhood is so fleeting. So I decided to write about it. I love to connect on social media or drop me a line by e-mail. The best stuff happens in your inbox. Sign up today so you don’t miss a thing. Download my free e- book "Unplug." It's crammed full of simple activities to help your family have fun together.